During an inspection at Turner's Garage & Transmission in Sumter, your friendly and knowledgeable automotive service technician will check for worn, broken or missing parts. There are the springs which hold the weight of your vehicle. There are several varieties of springs. Springs are heavy duty parts that rarely break or wear out. 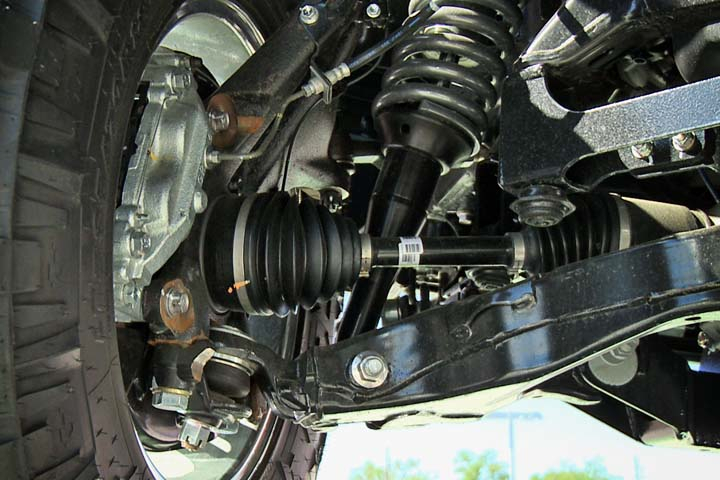 Shock absorbers work in conjunction with springs to smooth out the ride and help keep the tires on the road. Good shocks are essential for handling performance and ride comfort. You've probably heard of struts. They combine a shock absorber and a coil spring in one unit. Shocks and struts will wear out over time. If your tires develop a cupped wear pattern, your shocks or struts may be wearing out. This is from the shocks bouncing unevenly. You may notice a floaty or drifting sensation when cornering. If the front of your vehicle dives excessively when stopping, or rocks back and forth after you've stopped, your shocks may be worn out. And if they are leaking fluid, it's definitely time to replace them at Turner's Garage & Transmission. If you are experiencing any of these symptoms, visit Turner's Garage & Transmission for a suspension inspection. Same applies if you've been in an accident that involved one of your wheels. If your vehicle suspension actually fails, it could lead to a serious accident, so don't put it off. When you replace your shocks, it's usually a good idea to replace all four at the same time. That'll give you more even handling. Talk with your friendly and knowledgeable pros at Turner's Garage & Transmission because you don't want a big difference between the performance of your shocks from wheel to wheel, and replacing all may be the safest bet. There are different grades of shocks and struts. You always want to use a replacement shock or strut that equals the one that came as original equipment when your vehicle was new. But remember, they were designed to meet the expected needs of the broad range of Sumter people who buy that particular vehicle. Your needs may be more specialized. For example, if you want increased handling performance, your Turner's Garage & Transmission service advisor can recommend an upgraded shock or strut specially designed for improved handling. If you haul heavy loads or trailers in Sumter, we can recommend some heavy duty shock absorbers.